As a pioneer in the Chinese native auto industry, T-KING has meticulously created a series of electric cars, with a novel design and a fashionable shape. Marked by comfortable driving and riding, safety, energy efficiency and outstanding performance, this series has made breakthroughs in a lot of core technology. It has been fully applauded by government authorities and well-known experts. T-KING Electric Car has successively passed the relevant tests of General Administration of Quality Supervision and Tianjin/Changchun Automobile Test Center, with its vehicle performance ranking at the top of the list in the same industry. Our electric car has passed the European CE/EC certification (L7e)	. 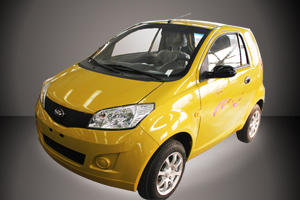 Our electric car is the first electric-automobile product in China which has passed the European certification. In this way, we can export our electric car to European market in batches. 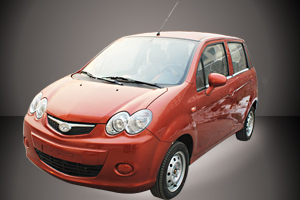 As a new-energy automobile, electric car can realize zero pollution and zero emission. Our electric car is reputed as "a vehicle in the future". Our electric car enjoys more advantages than automobiles driven by gasoline and diesel. Thank you for visiting our webpage. 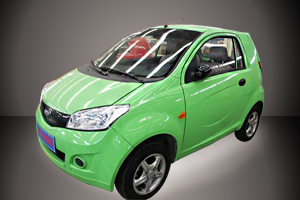 If our new-energy electric car is just what you desire, do not hesitate to contact us immediately, and our sales staff will quote prices to you. Please rest assured of it that our prices and services are definitely what you desire.